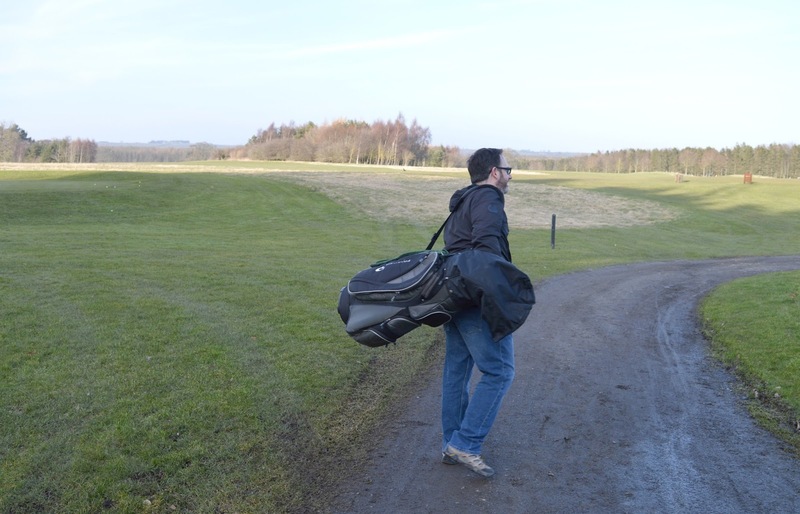 For Simon's 40th birthday last year I decided to surprise him with a voucher to play Golf at Matfen Hall in Northumberland. 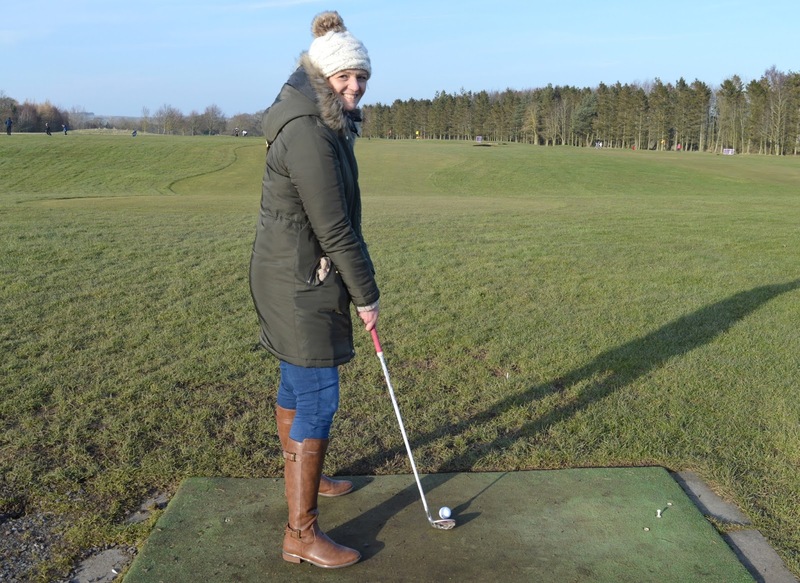 A perfect place for beginners to give it a go or out of practice players to revisit forgotten skills, an afternoon on their Par 3 Course is a real treat if you've been wanting to try out golf but was never sure where to go. When Simon and I first moved in together I was surprised to discover that he had a set of golf clubs. 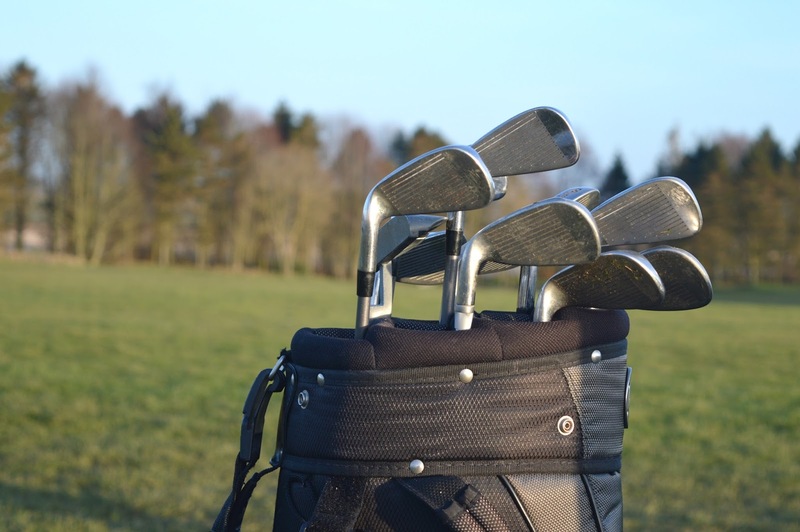 In the time that we had got to know each other, he had never once mentioned that he played golf and I had to question why this set of golf clubs was taking up room in our new home. I didn't realise how special they were! Simon's Dad was a keen golfer and as a young lad Simon would often caddy for him, hopeful that if he behaved his Dad would let him hit a few balls. Simon was thrilled when his Dad gifted him his own set of clubs for this 30th birthday and promised him that they'd go out and play together. Little did he know that the clubs would be the last thing that his Dad gave him before he passed away. When Simon told me that he'd barely played since his Dad died, I was keen to get him back on the golf course. Knowing that the game held special memories, I always felt it important that one day he took the clubs out on a course and played again but having not played for years he was understandably a little nervous about being back on a golf course. I was thrilled to discover that Matfen Hall was the perfect place for Simon to brush up on his skills. Their Par 3 course offers a beautifully landscaped course of 9 holes with an attached Driving Range, perfect for short game practice. With a relaxed environment, no dress code and open to any ability it was just what I had been looking for. We decided to visit on a beautiful clear day, the sky was a stunning shade of blue, the sun shone down on the course and if hadn't been for the very cold wind we could almost have convinced ourselves it was Summer. Our afternoon began at the Driving Range where we had a bucket of balls each to practice our swing and knock a few balls out. Having never held a golf club in my life I putted a few before it became very apparent that the small children in the bay next to me were far better and were putting me to shame. So I let Simon have most of the balls as he brushed up on his skills and by the second bucket he was looking pretty good. For someone who hadn't played for many years he seemed comfortable and we were ready to head out on the Par 3 course. 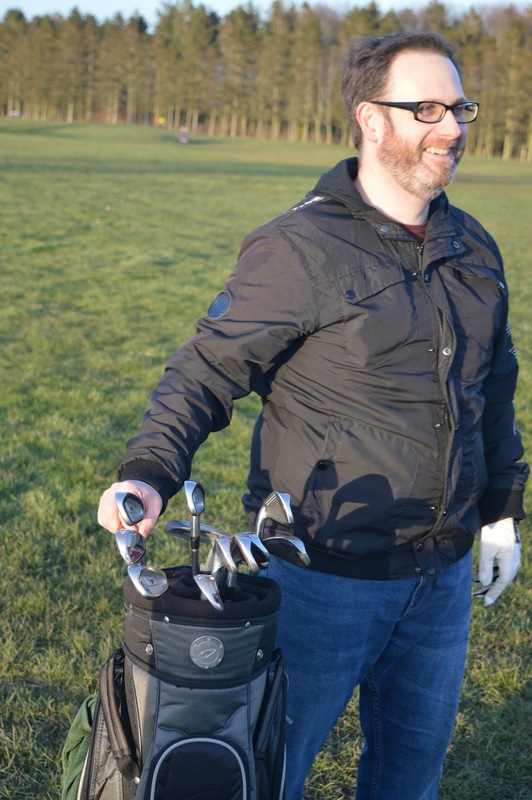 As I don't have my own clubs and didn't fancy using Simon's the Driving Range leant me some lighter clubs, perfect for a beginner, free of charge and we headed out into the sunshine and made our way to the first hole. The Par 3 Course is a short drive from the main Matfen Hall Estate, definitely a comfort for me as I didn't want to run the risk of smashing any of the hotel's windows. 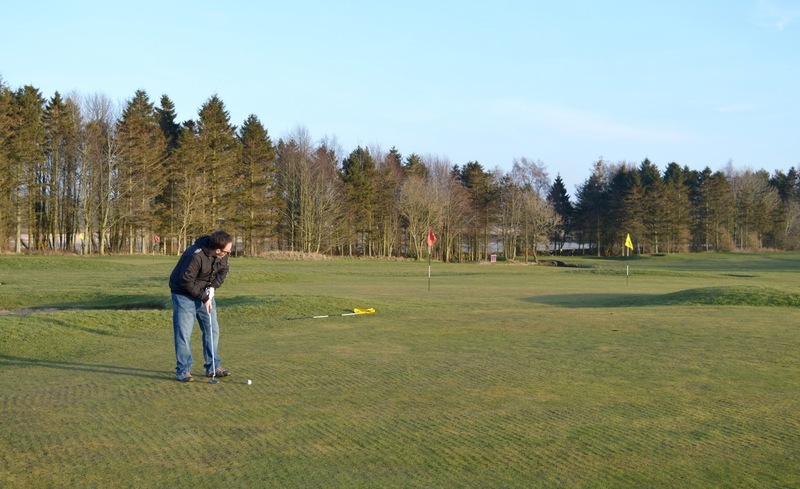 Although the course is short and ideal for beginners it definitely still has its challenges as I realised when I was struggling to keep my ball on the green. I definitely need to work on my swing as I couldn't get any height at all and spent most of my time putting my ball around and landing mostly in long grass or the bunkers. I decided to let Simon play on his own for most of the afternoon (I could definitely benefit from some of the Matfen Hall golf lessons) and played caddy for him. I'm pretty sure I was supposed to be carrying his clubs around but most of my afternoon was spent creating hilarious boomerangs of him for Instagram and telling him how cold my toes were getting. 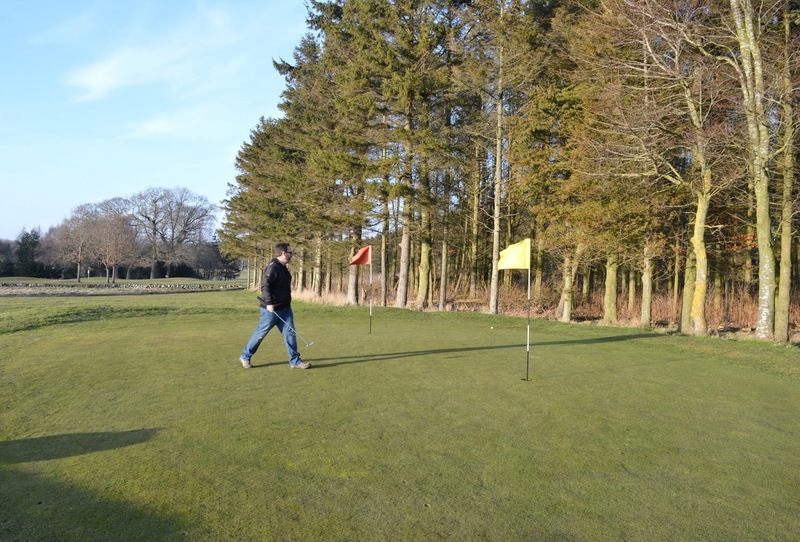 The best part of the Par 3 Course at Matfen Hall is that it's the perfect place to have an informal and relaxed game for beginners. I didn't feel out of place at all striding about the course dressed like an eskimo, swinging my club around like a complete novice. If you're keen to learn more about golf or give it a go with no pressure it's a fantastic place to be. 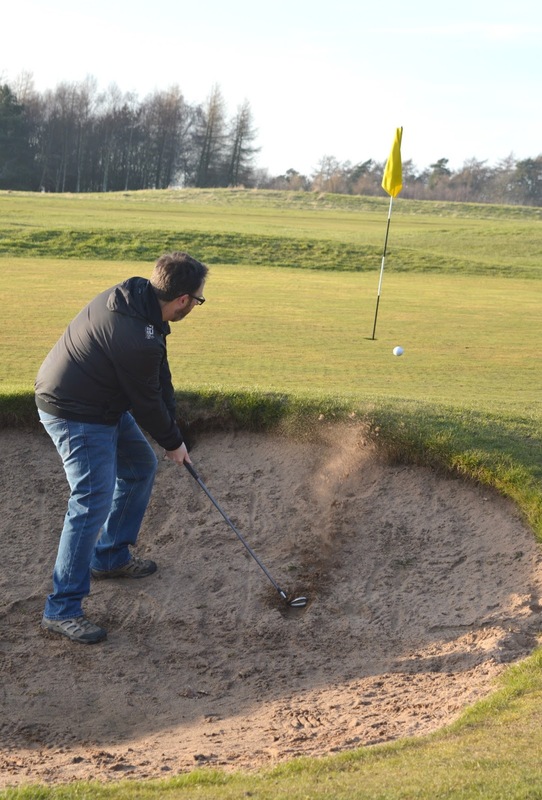 Although Simon also spent a bit of time in the bunkers (I secretly quite enjoyed it as I liked raking the sand after!) he had a pretty good game and found his stride quite quickly. I was impressed by some of his longer shots and it was lovely to see the huge grin on his face as he turned back to check that I'd been watching. We had a fantastic afternoon and I was chuffed that my present had gone so well. Safe to say Simon has now caught the bug and is very keen to get himself back into golfing, somethings tells me I'm about to become a golf widow! Ah what a lovely gift to buy for Simon Chloe. It sounds like you had a great time! Heidi is just packing her golf bag this morning as I type this. Simon read this and is very jealous that Heidi is getting golf lessons!! I fear I'm a lost cause when it comes to golf. What a lovely place to play! I bet you're far better than me!